In its first varsity season in 2015, the Deering High volleyball team finished 8-9. It was a more-than-respectable showing for a program that had only played one year as a club. A year later, the Rams took a step forward by qualifying for the playoffs with a 9-6 record. Last fall, the Rams accomplished what some longtime programs would dream of achieving: an undefeated run through their first 12 matches – including wins over established and successful programs such as Gorham and Scarborough. Deering’s season ended at 14-2 after a loss to South Portland in the Class A semifinals. With more girls coming out for tryouts every year, the Rams should continue to their success. Larry Nichols coached the Deering program during its first four years (including the club season) before becoming the volleyball coach at Falmouth this season. He said only six players showed up for the first practice at Deering, some of them wearing slippers and other footwear not appropriate for the volleyball court. This season, more than 30 tried out for the team. 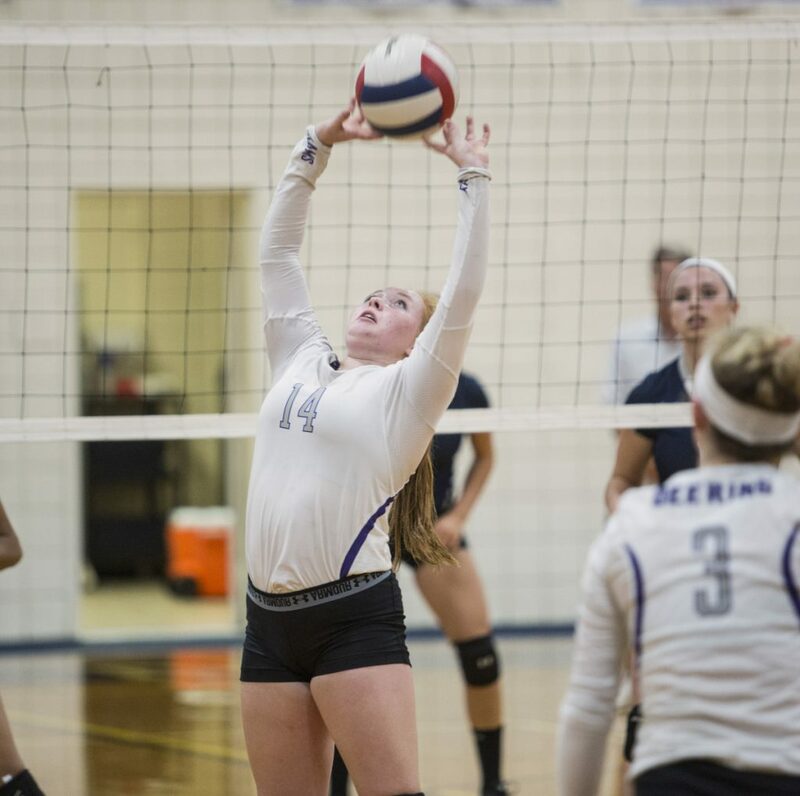 The rise in popularity of volleyball at Deering mirrors the sport’s growth across the state. The Maine Principals’ Association expanded volleyball from two to three enrollment classes last fall, in reaction to the sport growing from 25 to 35 varsity teams over the previous two seasons. This year there are new varsity programs at Messalonskee (Class A) and Brewer (Class B). In another change, Falmouth is moving from Class B to A this fall. “When the program first started we have kids show up … not really having any tradition in volleyball,” Nichols said of Deering. “In fact we even took them to some local matches so they could see what (the game) looked like for real. The effort was there, even if the results were not initially. Deering should be in the hunt this season, despite graduating Dianne Dervis, a Maine Sunday Telegram All-State selection, Avery Donovan, a 2017 SMAA all-star, and Divine M’Bambi, an honorable mention selection on the SMAA squad. Broda, a three-year varsity member, returns as the team’s setter. Her pinpoint passes should make for easy kills for Ava Spach and Catherine Balzano, two contributors in 2017 who are expected to play big minutes. Victoria Garand, a senior who often was one of the first net player substitutes, is also projected to be a key factor. New coach Nika Francois, who played volleyball at South Portland High earlier this decade, coached previously for the Maine Juniors club team. That is where she met Broda about five years ago. She is confident in the setter and team captain. Broda also was selected to the 2017 Telegram All-State team after compiling 403 assists, 122 digs and 87 aces. “Maddy is a great setter, a great leader,” Francois said. “She will take the team to end. I think having experience (on your team) not only as a player but a setter is very important. Nichols likes what Francois can bring to Deering.